Professional Therapist offer a tailored range of remedial, relaxation, pregnancy and sports massage as well as well-being seated massage in your workplace and a wide range of homeopathic drops and creams, Australian bush flower essences, and signature organic massage oils. You can find us at Charlotte House, a heritage-listed building with beautiful aesthetics, in the heart of Brisbane’s CBD. Our professionally qualified therapists, with a total of 48 years of experience, pride themselves on their expert, empathetic and caring approach to every client. Professional Therapist has been operating under the same management since 1998, and has a client base of more than 3000 people. We are renowned for our ongoing service. 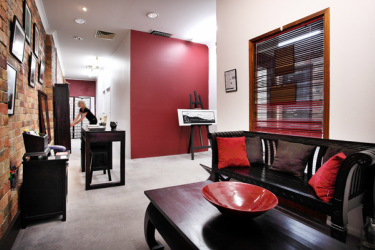 Our aim is to enhance clients’ health, well-being and quality of life.